Delegates buzzing after David makes a positive impact at Summit. 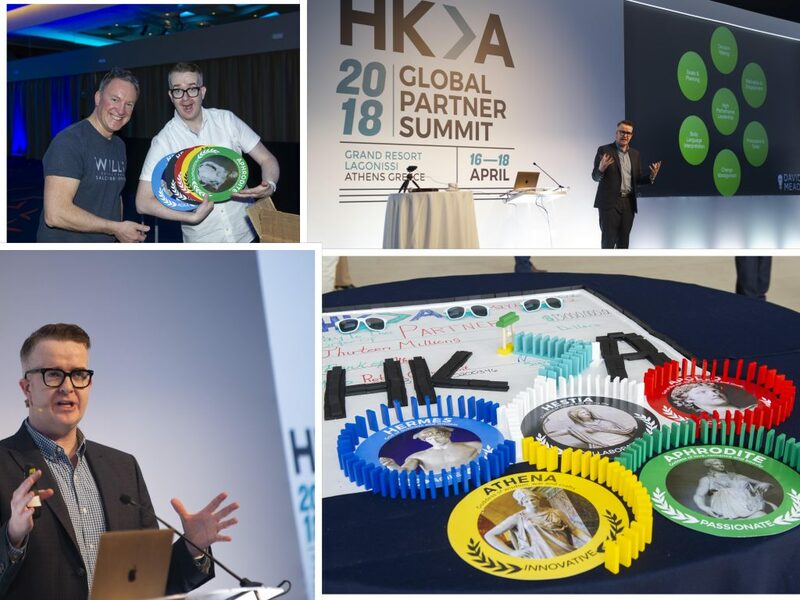 David was so honoured to be the keynote speaker & facilitator at the HKA Global 2018 Partner Summit in Athens. Two days jam packed with learning, interactivity, engagement, and fun. Delegates were challenged to step outside their comfort zone and the impact was huge! David shared cutting edge research on how some very small changes to how we think, and act can make a huge impact on our success. Already a world class organisation, HKA partners were immersed throughout, and there was barely a PowerPoint slide in sight!